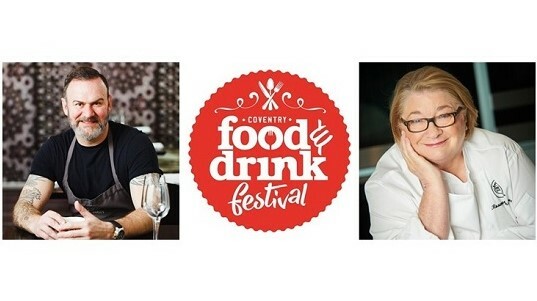 The special guests for this year’s Coventry Food and Drink Festival, which is returning on May 11 and 12, have officially been confirmed. Glynn Purnell and Rosemary Shrager will be cooking up a storm for the proceedings that are set to be back with a bang for 2019. It will be a weekend filled with delicious treats and entertainment for foodie fans – but that is not all, as Vélo Birmingham & Midlands will also be taking place on May 12 and the riders will be coming through Coventry, we welcome them and their families in the city centre. Trish Willetts, director of Coventry Business Improvement District (BID), which is organising the Coventry Food and Drink Festival is excited for the weekend and hopes to see the city centre filled with visitors. “What a weekend this is going to be for Coventry,” said Trish. 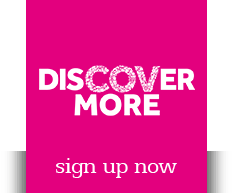 “Renowned chefs, food, entertainment and cycling – what more could you want? “It is absolutely amazing that this is coinciding with Vélo Birmingham & Midlands and having these two events taking place at the same time is hugely exciting. “It is a great honour that Coventry is involved with the cycling event and we cannot wait to welcome participants on the ride to the city. Glynn Purnell owns and runs Purnell’s Restaurant and Purnell’s Bistro & Ginger’s Bar in Birmingham. Purnell’s Restaurant was awarded a Michelin star in 2009, which it has retained every year since. Glynn became a household name after taking part in the Great British Menu, winning the show twice and then later appearing as a mentor. He previously featured on The Great British Food Revival and The Secret Chef, among other television programmes and can regularly be seen on Saturday Kitchen as a guest chef and host. Rosemary Shrager’s professional career includes working under Pierre Koffmann at the internationally famous Tante Claire restaurant in London and also a period working for Jean-Christophe Novelli. The nation fell in love with her when she took part in I’m a Celebrity, Get Me Out Of Here. She regularly appears on popular television series The Real Marigold Hotel, and, in 2017, was a judge on The Big Family Cooking Showdown. Rosemary is now based in Tunbridge Wells where she runs Rosemary Shrager’s Cookery School. Her latest book Rosemary Shrager’s Cookery Course is out now. Trish added: “We are thrilled to have Glynn and Rosemary coming along to this year’s food festival and I’m sure everyone will be thrilled to see them host demonstrations this year.